A dream comes true! The world's first Rugged Tablet PC with more than 10 hours operating time – Available now from Winmate! The Rugged Tablet PC model I980 combines the best performance from Atom Z530 with extremely low power consumption and perfect optimized components for operating times over 10 hours. 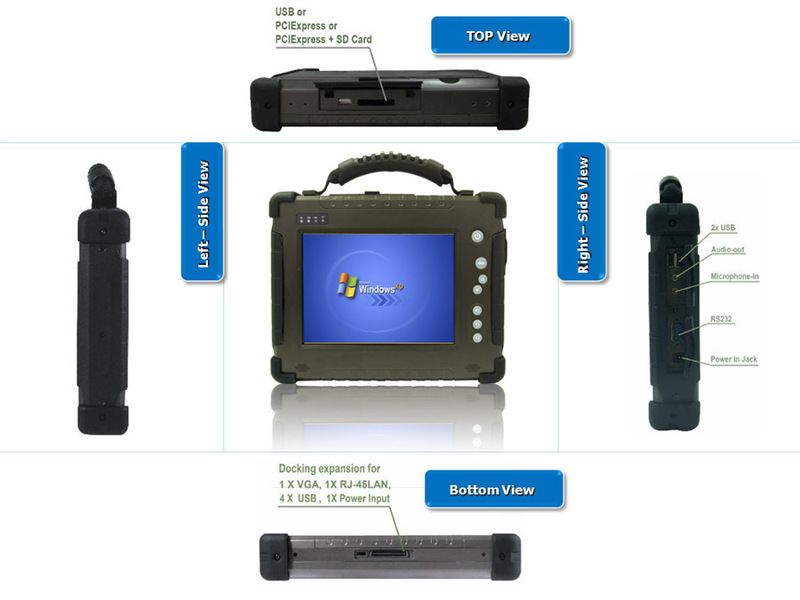 The first Rugged Tablet PC I980 is available as an 8.4" and other sizes will follow soon! 8.4" I980 Rugged Tablet PC with Intel Atom Z530 w/ US15W chipset. With desktop computers everyone wants as much speed as possible, but with a mobile Rugged Tablet PC the operating time without plugging in a power outlet is much more important! Winmate understands this challenge so we designed the latest Atom processor from Intel with the US15W ultra lower power chipset for our new Rugged Tablet PC Model I980. We produced the best thermal design to fit the lowest power consumption of under 5 Watt and combined it with very efficient power management technologies. This performs an operating time of over ten hours. We believe it will bring huge benefits and give you the most reliable product. Winmate's 8.4" I980 Rugged Tablet PC has versatile IO functionality with 2 x USB2.0, micro-in & audio out jack, 1 x RS232 and 1 x SDIO (SD Card) Slot. One high speed PCIExpress 34 standard can support any compatible external card such as GPS/GPRS/GSM/UMTS/CDMA/ HSDPA communication module. It is also equipped with integrated Wi-Fi and Bluetooth for internet usage and data communication. Reserved docking connector can help users to expand VGA, LAN and 4x USB when used on a desktop. 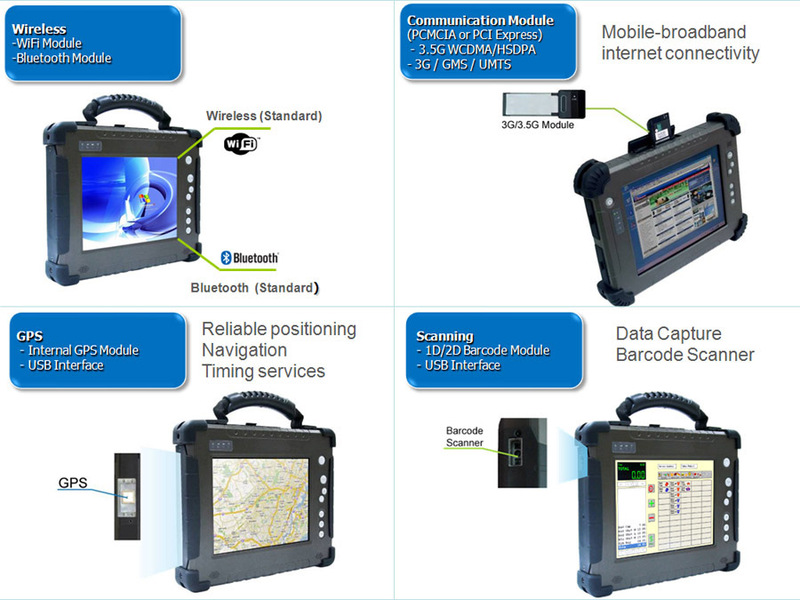 The MIL-810F reliability of our new I980 Rugged Tablet PC is your best choice for outdoor mobile applications such as field service, fire emergency, public safety, utility, medical and military. Compliance for MIL810F for Vibration/ Shock/ Drop/ Temp. For various tablet pc applications, you can easily select the optional function you required which we can integrate into your rugged tablet pc. 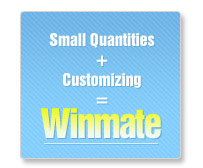 Winmate provides various customized services to help customers reduce the time and work involved with designing a new tablet PC. We handle the complex technologies and minimize the development risk associated with integration. If you have any technical questions, sample request, or require more product details, please contact your current Winmate Distributor or local Winmate vendor, or send your enquiry to newsletter@winmate.com.tw. To stop receiving our e-mail messages with news and special offers, please click UNSUBSCRIBE. Thank you.